Additional Materials: Size G (4.5 mm) crochet hook. Pattern calls for body of shawl to be worked in one color and edge and bobbles in a second color. 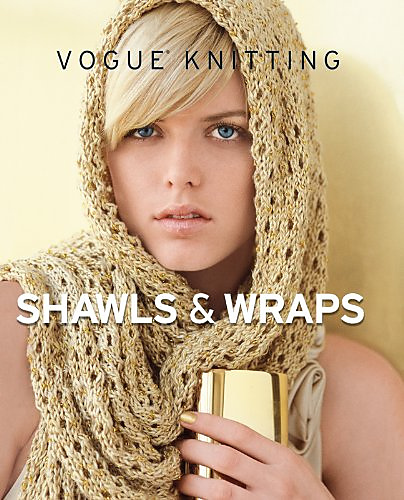 The shawl pleats, but the gauge should be checked in Stockinette. The Al.PA.KA is the original yarn; Wool-Ease is a suggested substitute. Yardage includes both colors.